Due to the huge success of our WBOC Job Fair in Georgetown, DE offering job seekers over 1000 jobs opportunities from 55+ employers, WBOC is continuing to answer the needs of our community! 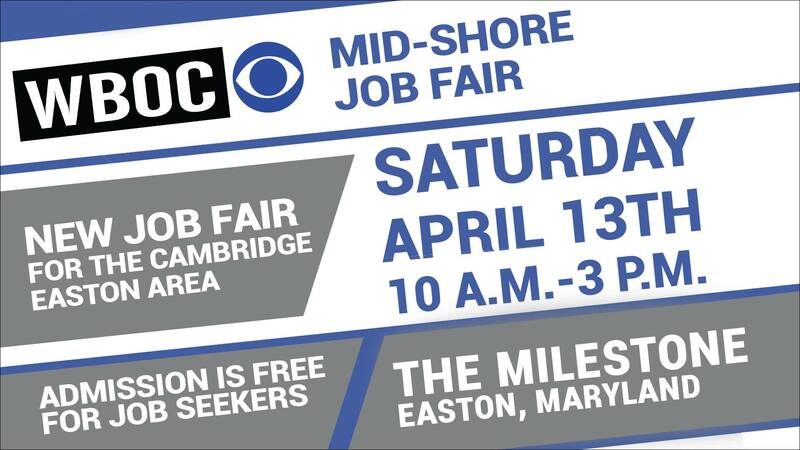 We have just announced the new, WBOC Mid-Shore Job Fair at the Milestone in Easton, connecting local businesses with job seekers in the Cambridge/Easton area. Admission is free for job seekers, so don’t miss this event on Saturday, April 13th from 10am to 3pm.